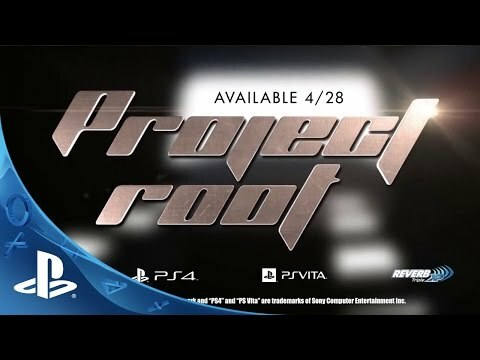 Paying homage to the classic SHMUP, Project Root throws players into the front lines of the rebellion to battle against a never ending collection of enemy aircraft, swarms of missile attacks, legions of tanks and engage in frenetic boss battles to strike at the root of the evil Prometheus Corp. Lighting a brighter future, energy is the root of all advanced global development. What a giant load of bull! Oh, there’s no denying that Prometheus Corp. is the world’s leading energy provider – but at the cost of permanent environmental damage, corrupt political agendas, and thousands of human lives. With his beguiling, duplicitous smile, Demetrio Watts assures all citizens low-cost, efficient energy year-round. And yet behind the scenes and away from the public spotlight, he hides the dangerous secret plans Prometheus has been formulating for a while now. Precious few of us have realized this –I know personally as Prometheus forced my family and hundreds of others out of our community with their ruthless expansion plans. But we’re far from dead – we have been training in the shadows, gathering our resources, and sharpening our skills. It’s taken time, but we are finally at a point where we can launch an effective strike against Prometheus. We won’t rest until we have pulled the wool off from the world’s eyes and reveal the true intentions of Demetrio and his company…or until we’re dead. Fast, direct action is needed and with our advanced F-72 Zonda aircraft, I – Lance Rockport – and others like me will personally strike at the root of this evil. We are Arcturus. We are ready. We are coming.